Liberty Intl. - Sir Donald Sangster Intl. John F. Kennedy Intl. - Sir Donald Sangster Intl. Philadelphia Intl. - Sir Donald Sangster Intl. Get your trip started on the right foot by knowing a thing or two about Negril before you jet off. 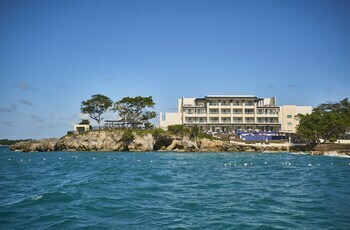 Negril is located 100 miles (161 kilometers) to the west of Kingston, a notable city. Would you like to meet a few locals? That shouldn't be a problem. 3,000 people call this part of Westmoreland home. 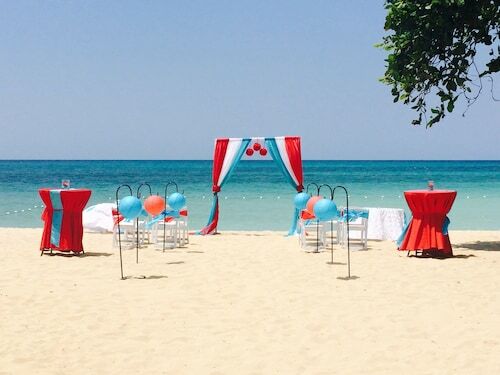 There are plenty of reasons to travel to Negril via Travelocity! You'll save plenty of cash when you secure a package deal, and with at least 400 partner airlines and 665,000 places to stay, you have all the freedom. From airfares and accommodations to activities and rental cars, you've got the added security of 24/7 personal assistance with our Customer 1st Guarantee. Have you seen an even better bargain? We'll meet the price and refund the difference^. Do you want to have a little more security in you travel itinerary? All of our package deals can be changed with no scary fees. And so long as you get in quick, many accommodations won't charge a fee either^. An unforgettable escape is just a few clicks away when you book with Travelocity. 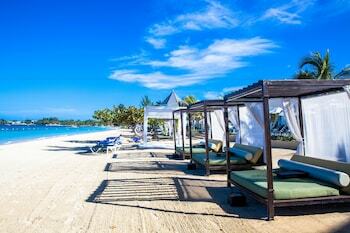 Choose from 77 properties in Negril then start counting down the days until you take off! It's not every day you take off on vacation, so why not treat yourself to a bit of luxury? 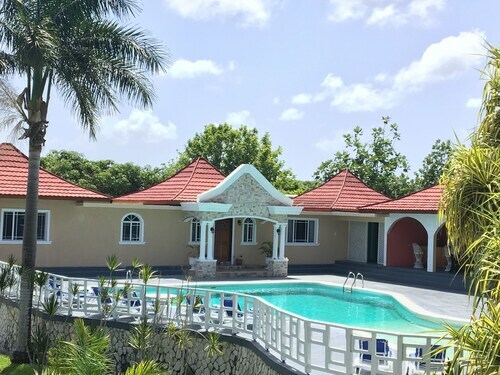 The Caves Hotel (144 One Love Drive) and the Couples Swept Away All Inclusive (111 Norman Manley Blvd) are a few of the leading upmarket properties in Negril. 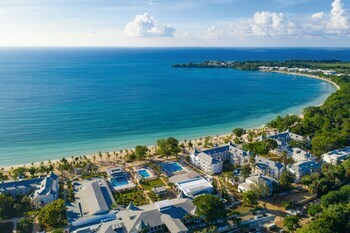 However, if you doubt you'll see much of your room, how about a cheaper option like the Beaches Negril Resort & Spa - All Inclusive (Norman Manley Blvd) or the Sandals Negril Beach Resort & Spa Luxury Inclusive (Norman Manley Blvd)? Where do you fly into for Negril? There's nothing quite as exciting as finally hitting the tarmac in a new place. If you're traveling to Negril, chances are you'll be stepping out into Sir Donald Sangster International Airport (MBJ). It's roughly 30 miles (48 kilometers) to the northeast of the main streets. Grab your luggage and get ready to start exploring! Can I rent a car in Negril? Don't bother waiting around for the bus. Browse through the car rental options via Travelocity and get the most out of your time in Negril. Pick up a vehicle from the Sir Donald Sangster International Airport area and you can get off the plane and glide right into the driver's seat. Enterprise and Alamo Rent A Car are waiting to help you find something that suits your needs. Body wash, shampoo and a toothbrush are some of the basics you need when traveling. But — if you forget to pack your toiletry bag, you should be able to stock up at Time Square Mall. Seeking some more ideas? Get into your khakis and reach for your favorite putter. If you'd love to head outdoors for an afternoon on the green, lock in a tee time at Negril Hills Golf Club. But that's not all. The care of our most important habitats, species and geology is hugely important. 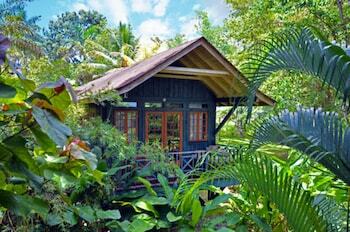 Lose yourself in the quietude of nature at Royal Palm Reserve and see what animals call it home. The great thing about travel is that you don't always need to chase after new experiences — they're right there in front of you! So unpack your bags, put your feet up and get set to make some outstanding new memories. Negril has heaps of things to do, but if you'd like to branch outwards, you're in luck! You have internationally famed attractions right around the corner! Travelers from near and far head to YS Falls. You can reach it easily from Middle Quarters, which is 35 miles (56 kilometers) away. 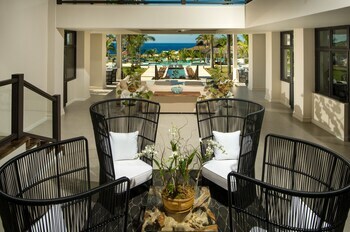 Nestled on the beach, this Negril property is within a 5-minute walk of Bloody Bay, Seven Mile Beach, and Bloody Bay Beach. Booby Cay and Kool Runnings Water Park are also within 15 minutes. 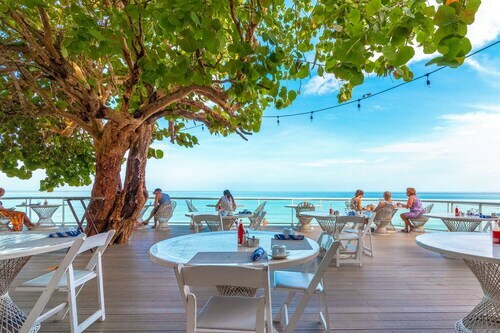 This adults-only guesthouse with both au naturel and clothed sections sits along the sands of Seven Mile Beach in Jamaica; the lively town of Negril is 8 km (5 mi) away. 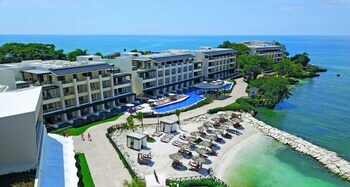 Nestled on the beach, this Negril hotel is within a 5-minute walk of Time Square Mall and Seven Mile Beach. Throne Room and Kool Runnings Water Park are also within 3 mi (5 km). This family-friendly Negril hotel is located near the beach, within a 5-minute walk of Time Square Mall and Seven Mile Beach. Kool Runnings Water Park and Throne Room are also within 3 mi (5 km). 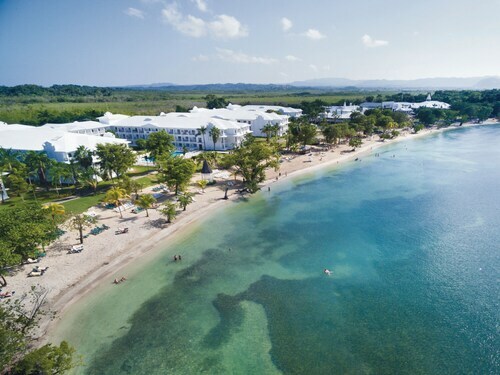 Situated in the center of the beach bordering semi-circular, calm-water Bloody Bay, this tranquil Jamaica resort offers limited children's activities while catering to adults.